Individual figures available in this edition. First formed by Stephan F. Austin in 1823, the Texas Rangers span close too two hundred years of serving the people of Texas. In the early days, Rangers were paid a $1.25 a day and were expected to supply their own arms, ammunition and horses. The first rangers often rode Spanish mustangs, wore buckskin clothing and carried muskets made in the east. Quickly the Rangers became a superior force on the southern plains. Their enemies in the beginning were the fierce Comanche and Apache tribes that roamed the Texas plains. In order to survive, the Rangers had to adapt to the ways of their enemies who were champions at horseback warfare. To do this, the Rangers used the newly invented Colt revolver, thus catapulting this American invention, the six-shooter, into the history books. With the coming of the Civil War, many Rangers joined and fought for Texas. Like many southern states, the men returning home soon realized that their home country had suffered a great deal in their absence. The economy was a shattered ruin and lawlessness was all around them. Once again, Texas was in need of the Rangers, and what we call the Frontier Battalion was formed. 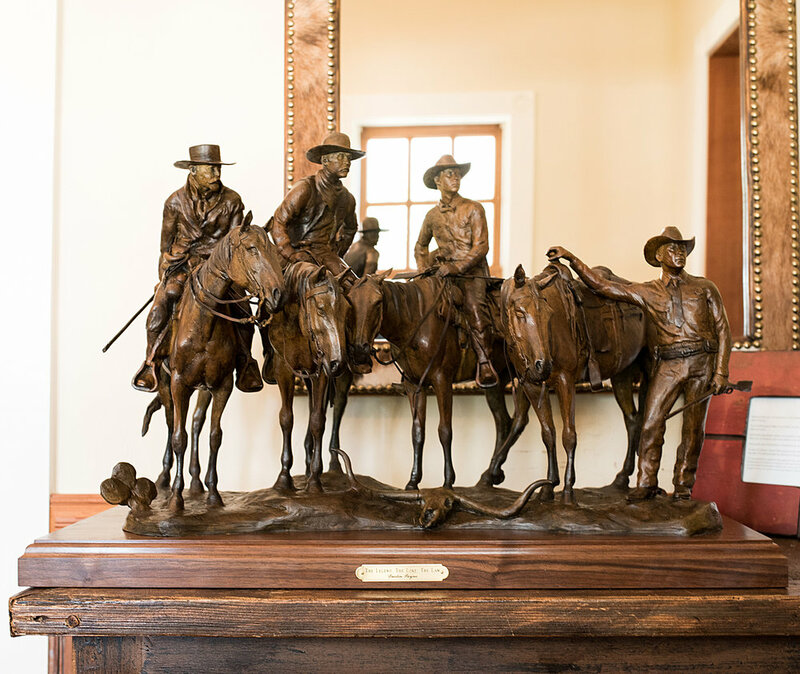 The role of the Ranger had shifted into keeping the peace and protecting the people from cattle rustlers, outlaws, and many disputes between the Democratic and Republican factions. With the vast longhorn herds it did not take long for the Texas economy to rebound. The Ranger in these days looked and dressed a lot like the Texas cowboys of the time, armed with Colt revolvers and Winchesters. In the early part of the 20th century, Texas again had seen great change. The oil boom, Mexican bandits, and Prohibition proved to produce an even greater need for the Rangers. With the invention of the automobile, the Rangers had to change their tactics once again and be prepared to uphold the law at all costs. Many still used horses but now had patrol cars and helicopters. They were armed with the Winchester model 95 but still toted a six-shooter. With outlaws like Bonnie and Clyde this proved to be a colorful and active time for the Texas Rangers. The Rangers’ job has always changed but throughout history these men have always been ready to change and answer the call no matter how big the task was. It is with this courage and tradition that the Rangers of today still stand true to Texas ways. No matter what the job entails, the Texas people know that when in need the men called Texas Rangers will be there to enforce the law.